I was trying to picture this in my head this morning...this hard stone that is hollowed out by seemingly innocuous little drips of water. For me it's a powerful metaphor for the way repeated thoughts (positive or negative) shape and mold who we are. If thoughts are like water, I want to be very careful about the messages I allow to drip into my brain. I've been considering the intention board I shared with you in Tuesday's post, and have decided to tweak it a bit by dropping the word "will". For example, instead of saying "I will trust my intuition," my intention will now read "I trust my intuition." See the subtle shift? Just by dropping one word I have changed the statement from something I hope will happen in the future to something that already is a reality and I have only to maintain what is already true. I think it's much easier to choose to continue an action than it is to begin one. I also found a few negative words in the original so you may notice some other changes. 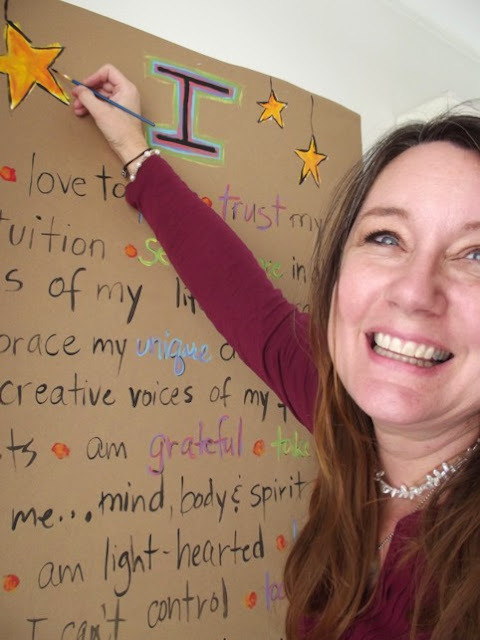 Instead of saying, "I will not compare myself or my work to others," my new and improved intention reads, "I celebrate and embrace my unique creative voice and the creative voices of my fellow artists." See (or rather "feel") the difference? Instead of fighting against a negative I am embracing a positive! It may sound like I'm splitting hairs here, but these subtle adjustments in our thinking really can transform the way we approach art and life. Sometimes seemingly small shifts can be the beginnings of extraordinary change. By the way...I painted the first layer on two more canvases yesterday, this time in cool tones. Tomorrow is a dedicated painting day and I am ready! Excellent post, wonderful metaphor... Love the photo of your painting...art work is beautiful too... I agree with those changes... so important. Years ago when a woman wanted out of her marriage I always listened for the words to go from if I, when I, I'm going to.... It was interesting to see how long it took for the language to change...sometimes a year, other times six months... until they put things into action. Oooh...thanks so much for those words...that affirmation. It's like you're standing in agreement with me that these things are a done deal. So awesome! Janice it's a pleasure visiting you here again and reading your soulful words. Your first layers of paintings are beautiful, have plenty fun with them, I look forward to seeing their next stage, I love how paintings evolve when the right time comes to play and create, have fun! Love your new list and your backgrounds are really beautiful already...can't wait to see what they turn into! Hi,Dawn! I will definitely post my progress! This is so beautiful... words and art. I love your list. And you look SO happy there with the brush in hand! Thank, you, Pauline! I have had a great time poking around your blog a few times as well. You have a true artist's heart and I love seeing what you're up to. Oh I so agree with you! Every thought, every word, every song you listen to or tv show/movie you watch - it all matters. People just don't realize how much negativity surrounds them all the time. It's astounding! Lovely poster. Thanks for popping by to leave such a sweet comment. ps I love your stack of paintings! What gorgeous colours!! I know! It is so easy for that negativity to work its way into your thinking before you even realize it. I am so grateful for my safe places...home and studio! Thanks, Lorraine. Great mantras...things I need to repeat every day as well. It's so easy to get pulled off course by our thoughts. I absolutely agree with your positive message...and a great project to post it as a reminder! 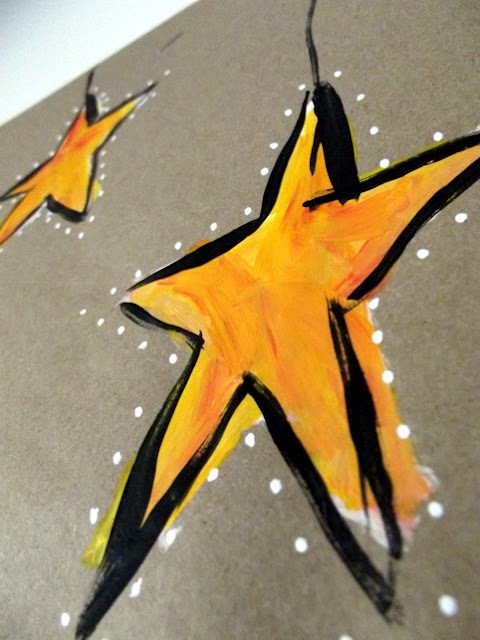 Love your colorful canvases and your journal pages! Thank you, Diane. I seem to need things big and in my face to help me stay focused! 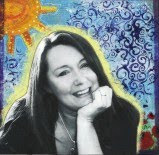 Beautiful canvas Janice,beautiful and expressive colours. I like your board as well. 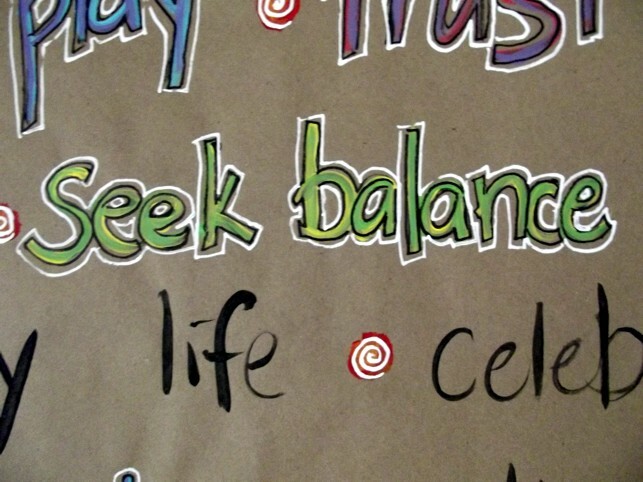 'Embracing a positive' sounds like a beautiful mantra and it is very inspiring. Thank you for sharing. Thank you, Aga. I am definitely in love with color...it communicates so much with or without words and the right colors can really help me stay in a positive frame of mind. Inspiring! And your canvases are looking great already - great colour and painterly. Thanks, Lori! You should see those canvases now...you wouldn't recognize them! 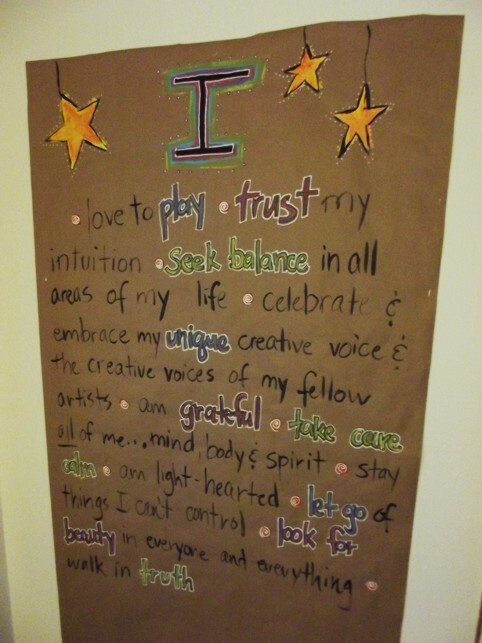 Such a great idea, this intention board. And so right too, thoughts have a huge impact on how we behave and on how we feel. And those canvases: WOW! Oh, this time last year I was doing her workshop, and I loved it so. was looking forward to the painting lessons every week. Can't wait to see where you go with these! I think it's so cool that you took Flora's workshop, too! We are just on week two...starting to settle in a bit and loving every minute of it! Look at you go! 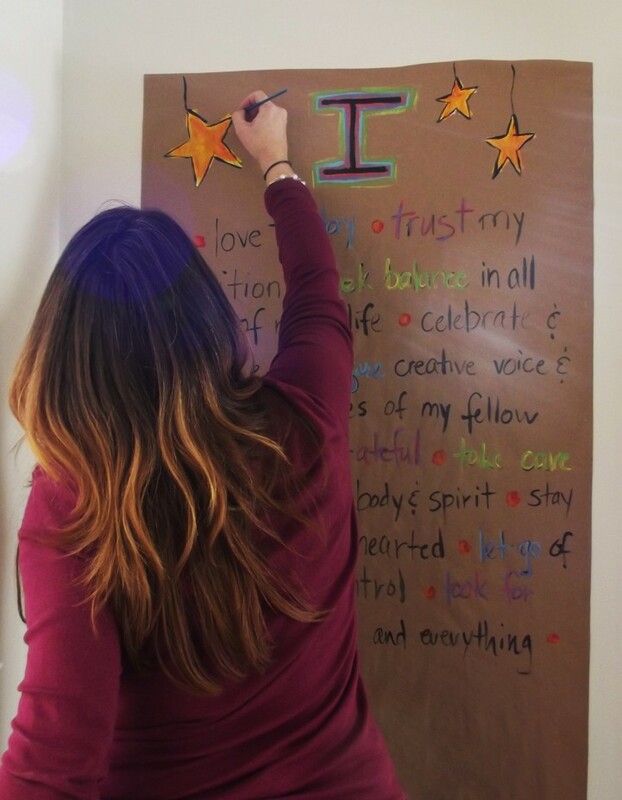 I loved your photos + your intention board. Oh, and your post. 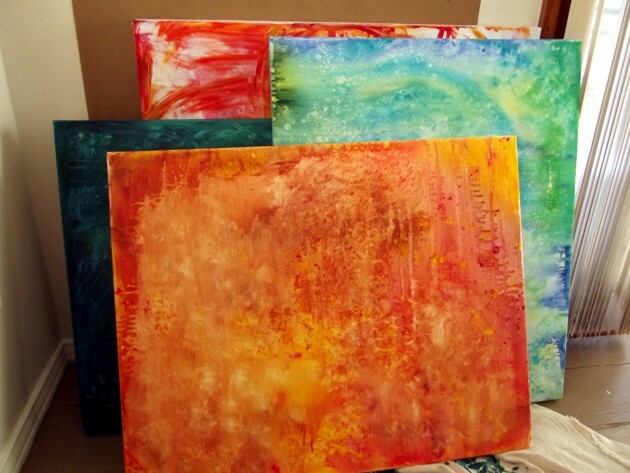 And the canvases you prepped (can't wait to see what you do with them!). I don't think you were splitting hairs re: the choice of words, either. I totally get it. Words are magic. Becky, there canvases are HUGE compared to my little journal pages. I'm using a ton of paint! I was just thinking about you this morning...tomorrow is YOUR day. I hope you get to do a little painting or something else creative! Janice you are so beautiful! Love your smile as you write those positive words. I adore those words and those are the same things I hope for myself. So thank you for that! And your painted canvases are beautiful and waiting for you to paint and play. Keep trusting and surrendering to the process of painting. Think less. Feel and paint more. Hugs! Thank you, so much Elisa. What sweet words of encouragement. Think less...feel and paint more...yes! I feel that this very positive attitude has taught me to trust others opinions about my art more and to believe in myself more too. It really does work! That's a really important insight, Lynn, and I agree. What we put out there really does return to us in one form or another.